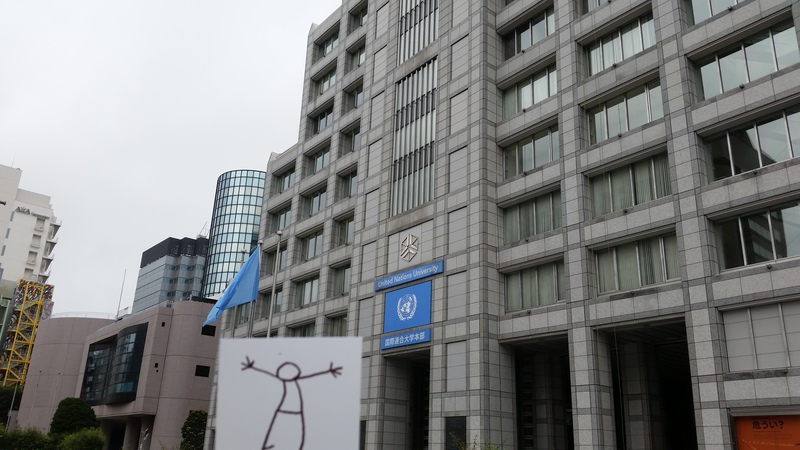 Elyx felt revived from the sunny beaches of Togo, and after arriving in Japan, immediately wanted to visit the UN University in Tokyo and exercise the brain. Elyx was very impressed with the work of the university, which covers subjects from peace, security and human rights to sustainable energy and technology. Following the tour, Elyx sat down on the stairs of the university to read the UN University magazine Our World. In the middle of reading an interesting article on urban farming in Tokyo, Elyx was interrupted by the distant sounds of singing. Keen to discover the origins of the sounds, Elyx found a UN staff choir and went on a mini-tour with them, taking the bullet train from Tokyo to Hiroshima. In Hiroshima, Elyx performed with the group and could not hide his excitement. 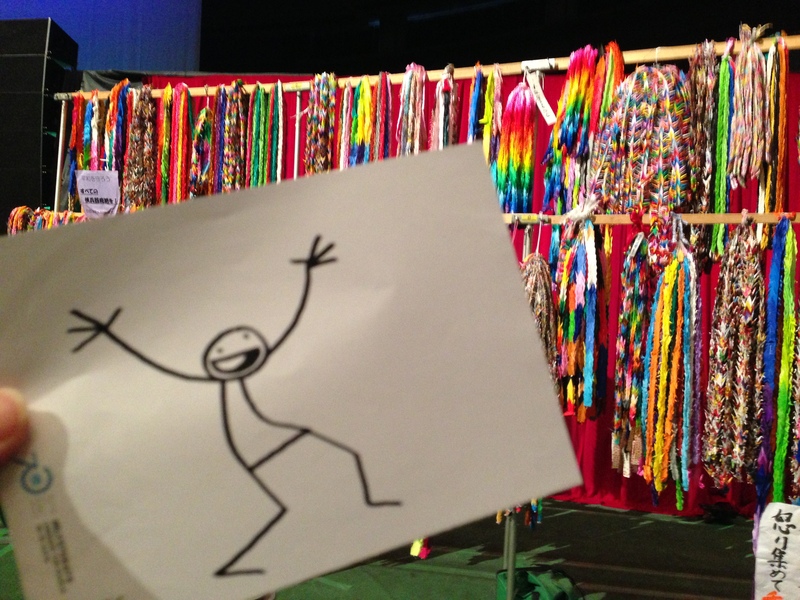 The choir also told Elyx the ancient legend of Senbazuru, or a thousand paper cranes. The legend goes that anyone who folds a thousand origami cranes will be granted a wish. The crane is one of the mystical or holy creatures in Japan together with the dragon and the tortoise. Some also say folding thousand origami cranes will grant you eternal good luck, which makes Senbazuru a popular gift for special friends and family. 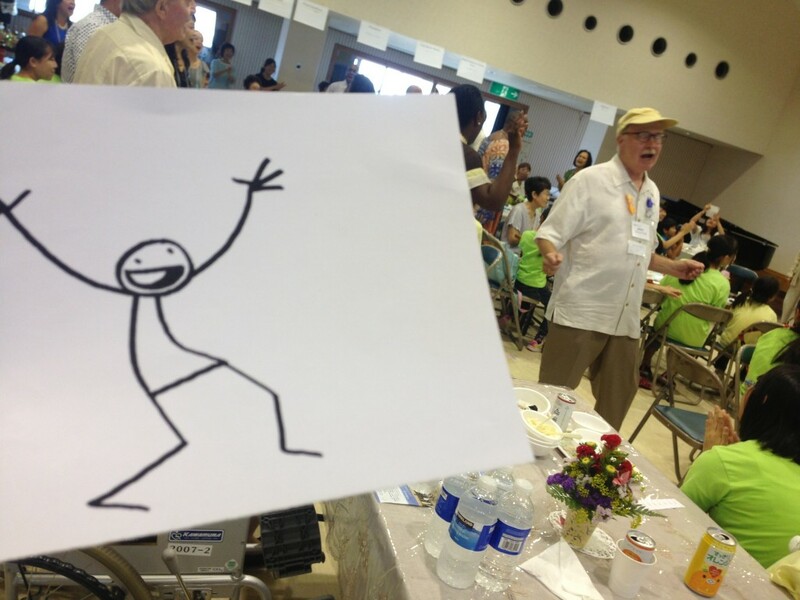 Though Elyx would have loved to stay with the friendly choir, there was a train to catch from Hiroshima to Nagasaki. 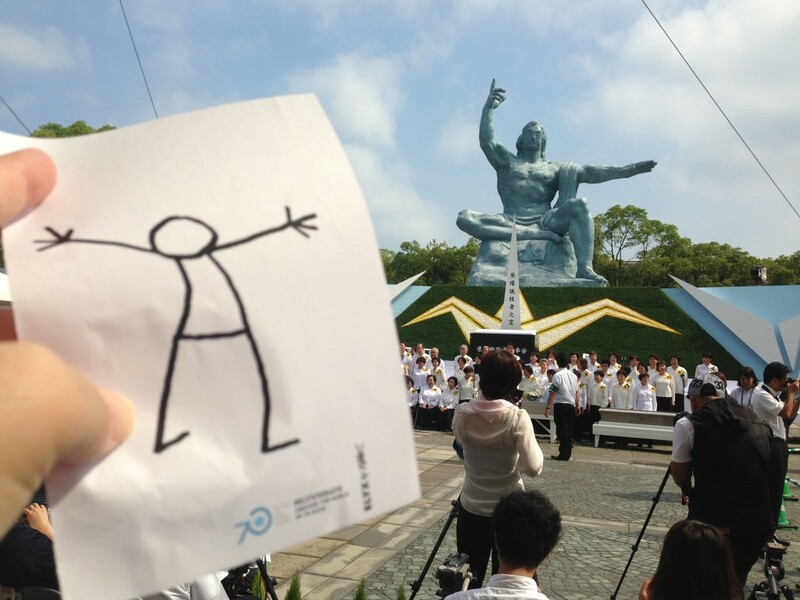 Here, Elyx visited the Nagasaki Peace Park, established in 1955 and situated near the hypocenter of the Nagasaki explosion. 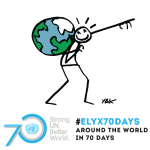 Elyx stayed there for a while, remembering the victims of the bombings and hoping that the work of the Regional Office of the International Atomic Energy Agency in Tokyo will contribute to a peaceful world, so that one day, we can be free from nuclear weapons.